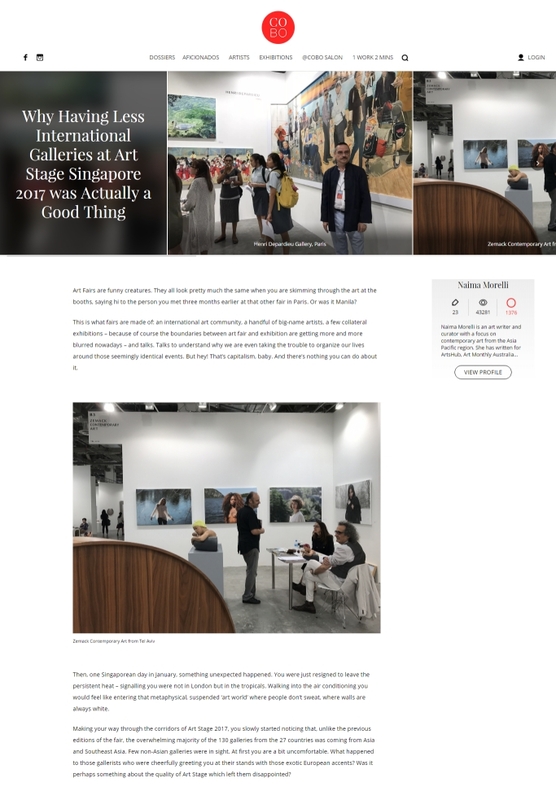 Asian webmagazine and collectors’ platform CoBo has just published my report from Art Stage Singapore 2017 titled “Why Having Less International Galleries at Art Stage Singapore 2017 was Actually a Good Thing”. As the title suggests, I see the tendency to develop a “glocality” in the art market as generally positive – giving character to art fairs which would otherwise be all lookalikes. The regional features of Art Stage 2017 are far from being a directed by the organizer of Art Stage; it all depended from a series of circumstances that modified the Asian art ecosystem. I spoke with the present and absent galleries to explain what happened.